GAY & TERRY WOODS co-founded Steeleye Span with ex-Fairport Convention bassist Ashley Hutchings. They left that band in 1970 and formed their own Woods Band with guitarist Ed Deane, drummer Pat Nash and Gay's brother Austin Corcoran. The Woods Band released an eponymous-titled album in 1971 but soon after Gay and Terry Woods returned to live in Ireland. Their repertoire included distinctive arrangements of traditional folk songs and they attracted the attention of Polydor Records who signed the duo in 1973. Their first album for the label, 'Backwoods' , received encouraging reviews and had a strong Irish feel, the follow-up 'The Time Is Right' was more influenced by American folk and country music. Gay and Terry's third and final album for Polydor was released in autumn 1976 and was electric folk with support from Fairport Convention's Dave Pegg and Dave Mattacks and Andrew Bodnar and Steve Goulding from Graham Parker and The Rumour. After a couple of independent label releases in the seventies Gay relocated to Holland and formed Auto Da Fe with Trevor Knight. Auto Da Fe was far removed from the previous folk rock incarnations and the band's synthesiser-led rock featured on two albums and six singles. In the early 1990s Auto Da Fe disbanded. Terry Woods joined The Pogues in 1985 and helped that band establish their niche as an important link between punk and Irish traditional music. This association lasted until the early-1990s. In 2000 Terry released the critically-acclaimed 'Music From The Four Corners Of Hell'. Part of the ' war baby ' generation, MICK SOFTLEY grew up on the edges of Epping Forest in Essex. His early travels took him to Spain and then Paris where he stayed in a bookshop and rubbed shoulders with many of the key figures of the Beat Generation like Burroughs and Corso. Whilst in Paris he met up with the late singer Alex Campbell who introduced him to a musical circle which included Wizz Jones, Clive Palmer and Davy Graham, figurs who would soon have a major impact on the burgeoning folk blues scene in the UK. He returned home and worked the folk circuit, establishing his own club in Hemel Hempstead, the 'Spinning Wheel' , where in his own words 'I don't know how successful I was, but I was bloody happy...' Meanwhile, Donovan Leitch included one of Mick's compositions 'Goldwatch Blues' on his debut album and suggested to his managers Peter Eden and Geoff Stephens they should record with the guy who had inspired him. Mick's debut album, 'Songs For Swingin' Survivors' was released by EMI Columbia in 1965 and sat well with several other folk releases that year including Dylan's 'Like A Rolling Stone'. Many songs reflected his preoccupation with the issues of the day: the environment and war. Shortly after the release of the album, Mick became disillusioned with the music scene and in spite of a couple of single releases he ran a wine-making business and hung out in a Transit van busking in St.Albans. In 1969 he signed a three-album deal with CBS and subsequently released 'Sunrise' (1970), 'Street Singer' (1971) and 'Any Mother Doesn't Grumble' (1972), and a couple of singles. 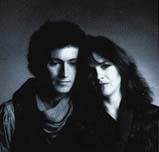 Later albums (for the Doll label), 'Capital', 'Mensa' and 'War Memories' featured pared-down acoustic arrangements contrasting with the previous albums rich instrumentation. In 1983 Mick moved to Ireland where he now writes poetry. 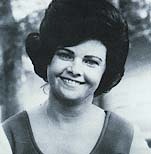 BILLIE JO SPEARS achieved success in the UK in 1975 with the single 'Blanket On the Ground' and achieved the then rare feat of a crossover country-pop hit. Prior to this, Billie Jo had achieved recognition with her early albums for Capitol Records and a 1970 UK tour dubbed 'The Capitol Caravan'. She made her professional stage debut at the age of thirteen in the company of country legends George Jones and Jean Shepard, although her recording debut was billed as Billie Jo Moore. She moved to Nashville in 1964 and signed a contract with United Artists, subsequently moving to Capitol where she recorded 'Harper Valley PTA' (actually a hit for another unknown country artist, Jeannie C.Riley). Billie Jo's first chart success came with the song 'He's Got More Love In His Little Finger', released in November 1968, followed by 'Mr Walker, It's All Over'. Billie Jo Spear's ambitions received a setback when she developed some vocal chord problems and she was not fully recovered for two years when she returned to United Artists who, at that time, had a formidable roster of country artists including Crystal Gayle and Kenny Rogers. Her early albums for Capitol however demonstrate her distinctive and unique vocal qualities and set the blueprint for later worldwide recognition. Over the years, ELTON DEAN has lent his talents to bands like Soft Machine, Soft Heap, In Cahoots and L'Equip'Out, as well as many jazz ensembles featuring Keith Tippett, Hugh Hopper, Pip Pyle, Mark Hewins and John Etheridge. Born in Nottingham in 1945 he started taking piano and violin lessons at a very early age, and bought his first saxophone when he reached 18. At that point, he'd become interested in jazz listening to the radio and records, particularly traditional English jazz. By the mid-60's, Dean had started playing in London pubs, and became a professional musician. In 1966-67, he played alongside trumpet player Mark Charig in Long John Baldry's band Bluesology (whose piano player borrowed his and Baldry's first names to start a career as pop singer under the name Elton John), Georgie Fame's Blue Flames and Marsha Hunt's backing band. Late in 1967, Dean and Charig met pianist Keith Tippett and trombone player Nick Evans, thus the formation of the Keith Tippett Sextet, which played in various clubs in 1968-69 and recorded two albums for the Vertigo label. In the Autumn of 1969, Tippett's brass section of Dean, Evans and Charig was absorbed into Soft Machine. 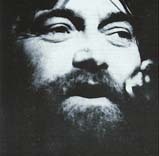 While the latter two left after only a couple of months, Dean remained and for two years was part of the band's 'classic' line-up, alongside Robert Wyatt, Hugh Hopper and Mike Ratledge. He played on the studio albums Third (1970), Fourth (1971) and 5 (1972), as well as many radio sessions and European tours, resulting in later archive albums such as BBC Radio 1967-1971. While in Soft Machine, Dean also formed his own jazz group with Neville Whitehead (bass) and Phil Howard (drums), releasing his eponymous debut on CBS in 1971 (with Ratledge guesting), and played with Barry Guy's Jazz Composers' Orchestra and Keith Tippett's 50-piece Centipede. In January 1975, Elton Dean launched his most ambitious project to date, the large ensemble Ninesense, which included many of the British jazz scene's most talented musicians, including Keith Tippett, Mark Charig, Nick Evans, Harry Miller and Louis Moholo. He also formed his own quartet, EDQ, with Tippett, Moholo and bassist Chris Laurence, recording They All Be On This Old Road (1977) for Ogun Records. In 1976, he toured Europe with Tippett, Jim Richardson (bass) and Pip Pyle (drums) as the Weightwatchers, and later that year formed yet another quartet with Tippett, Hugh Hopper and Joe Gallivan (drums and synthesizer), which recorded the album Cruel But Fair for Compendium. In 1978, he formed Soft Heap with Pip Pyle, Hugh Hopper and Alan Gowen. This band carried on with some personnel changes (John Greaves coming in on bass, Mark Hewins on guitar replacing Gowen after his untimely death in 1981). In 1980 Dean recorded the album Boundaries (1980), and he guested on National Health's tribute album to Gowen, D.S. Al Coda (1982). Canterbury links were further renewed when he joined Phil Miller's new band, In Cahoots (of which he's been a permanent fixture for almost 15 years), and a couple of years later drummer Pip Pyle's jazz band L'Equip'Out. Later in the decade, he also formed the Dean/Etheridge Quartet with guitarist Etheridge, and the rhythm section of Fred Baker and Mark Sanders. Other projects during that period included the Duos and Trios tapes which he released on his own label, ED Tapes, and his Unlimited Saxophone Company. The 1990's saw the continuation of Dean's participation in In Cahoots (the albums "Recent Discoveries" and "Parallel", and numerous tours) and Equip'Out (until its demise in the mid-90s), amidst various jazz projects. The mid-Nineties witnessed the return of the EDQ with a new line-up (Sophia Domancich on piano, and members of Keith Tippett's band Mujician : Paul Dunmall, Paul Rogers and Tony Levin), with the CD "Silent Knowledge" on the American label Cuneiform. Dean also formed a new large jazz ensemble, Newsense. These days, Dean continues recording and touring, showcasing his highly idiosyncratic yet ingenious method of composition and complexly staggered harmonic and polytonal improvisational inventions.